We're looking for a few good teachers! This award is given to high school teachers who are nominated by their state affiliates. All state, provincial, regional, and local affiliates can participate. Recognizes teachers in grades K-6 who demonstrate an understanding of student improvement in the teaching of writing. This award recognizes exceptional English language arts teachers of grades 5-8 who have demonstrated excellence in teaching English language arts and inspired a spirit of inquiry and a love of learning in their students. This award showcases NCTE members who have developed innovative approaches for integrating media analysis and composition into their instruction. Recognizes a distinguished educator who has made major contributions to the field of elementary English language arts education. This award honors a junior high/middle level educator who has worked to promote understanding of the developmental needs and characteristics of young adolescents, especially in the English language arts. 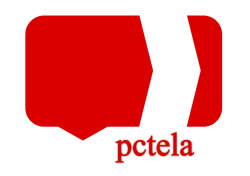 If YOU could put forth a name and contact information to PCTELA Executive Director, Allison Irwin or President, Jennie Brown, we will then proceed (with your help) to see if that individual is inclined to participate in the award process. We recommend that you make some sort of preliminary contact with that educator to make sure they are willing to move forward with their nomination. In the event that we receive numerous nominees, any educator who is not chosen for an award this year will be immediately considered for future awards. There are too many outstanding educators in our state and organization for there not to be someone representing us. We hope you'll seriously consider our request.